Bleach 543 was recently released. Bleach chapter 543 is entitled Letters. At first, I was thinking that the tittle was referring to a Letter which is a form of communication. But it was actually referring to the Sternritters alphabet codenames. In this chapter Juha announced that Uryuu Ishida will be his successor. Read the rest of my Bleach 543 review below. Nothing much happened in Bleach chapter 543. Just as I thought before, Juha Bach’s announcement will be about Uryuu. In this chapter, he just announced that Uryuu, the last living Quincy, will become his successor. A lot of Juha’s army, the Sternritters were shock about Juha’s announced. The don’t have any idea who the heck Uryuu is, and suddenly Juha announces that he will become his successor. 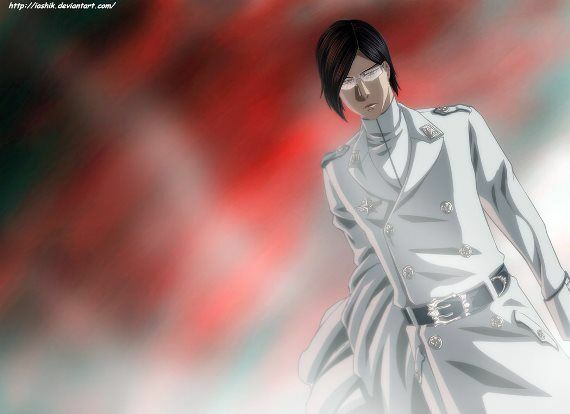 Most of the Sternritters were also expecting that Sternritter “B”, a.k.a Jugram Haschwalth, will be the successor and the future Emperor. But that didn’t happened. Normally, in an organization, the leader would be succeeded by his vice-leader or someone he trust from within the organization. And people would be become outrageous if, suddenly, someone from outside the organization steps in and become the new leader. That’s true even in our society today. Oh well, perhaps Juha Bach knows Uryuu’s potential and fighting power. I think there is also a reason behind why Juha Bach chose Uryuu to be his successor. Perhaps, in the end, he plans to use Uryuu to fight Ichigo. Juha knows that it will be difficult for Ichigo to fight and finish off one of his friends. I also noticed how Tite Kubo ranks the enemy. During the Espada series, the Arrancars where numbered from 0 to 9. The Espada 0 being the strongest and the larger number being the less stronger. Tite used the same ranking system with the Sternritters. Letter A is the most powerful or the Emperor, followed by Sternritter “B”, the next to his position and so on and so forth. The Letter “S” or “Z” is definitely the weaker Sternritter. Letter A is Juha Bach, and in the future it will be Ishida Uryuu who will become Sternritter Letter A. Anyway, that’s it for this episode. Like I said, nothing much really happened. Hopefully we will learn more in the succeeding chapters why Juha selected Uryuu to be his successor, and what was Uryuu thinking, why he joined the Juha and his Sternritters.